In the desert of northeast Arizona, in the Navajo Nation reservation, sunny and warm days turn to cold and windy nights and storms blow in from the mountains, blanketing the trees and houses with white snow that contrasts with the deep red of the surrounding earth, hills and cliffs. The majority of homes on the reservation do not have central air or heat and rely on wood burning stoves to heat there homes and keep warm on cold nights. Collecting firewood from the forests in the higher elevations is crucial for families to keep warm. 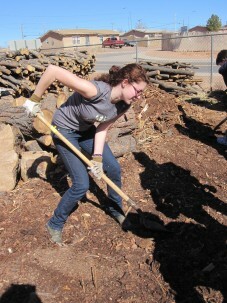 Amizade volunteers work with the Tuba City Church of Christ to move, stack and organize the wood piles and wood chips used for kindling so it can be ready for community members and families to take home. 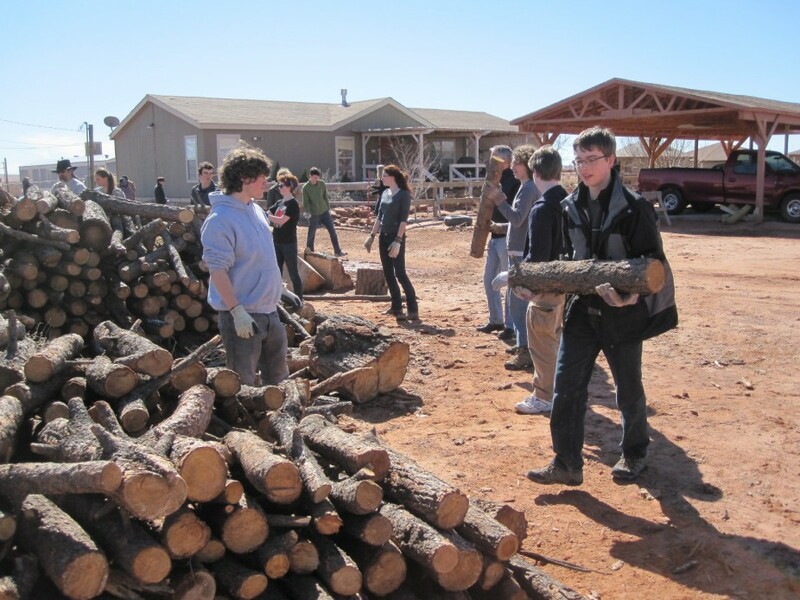 Tuba City Church of Christ provides wood to the community for a small fee and uses the money to help fund other community projects in Tuba City. It may look like a sunny afternoon now but when the sun goes down, the fires will help fend off the chilly desert night in Navajo homes, and at the campfire the volunteers will gather around in the evening to play music, star gaze and reflect on the day’s service.